There are people who maintain that interlinks cannot make a difference in sound at all. Others are more nuanced and say that this is true as long as the conductor inside is of the same material. Then there are of course the audiophiles who swear that cables do make a difference; it’s not only the conductor that matters but also, and probably even more so, the geometry and material type of the insulating jacket. Quad made an interesting comparison a long time ago when they wanted to prove to everybody that their transistor amplifiers really represented a straight wire with gain. 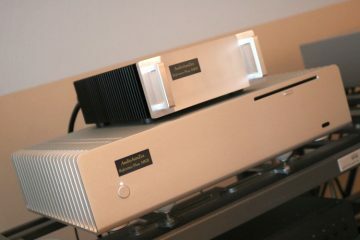 In the days when they were facing competition from other amp makers such as Naim, they allowed customers to compare any amp of their choice to a Quad amp by means of a special box. The amps were not compared directly. 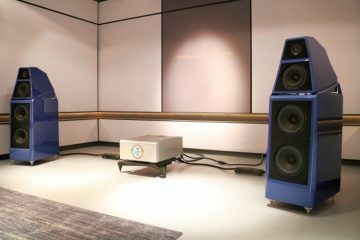 The comparison was between the amp of choice directly, and that same amp, with its speaker output routed through the phono input of the Quad amp! Of course the signal was attenuated and reverse-RIAA equalised. The fascinating outcome was that there seemed to be hardly any difference in sound. A straight wire with gain? 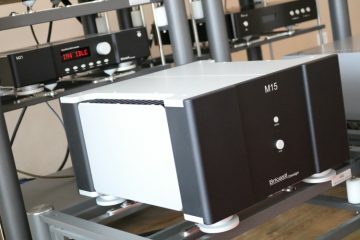 Almost any audiophile knows that Quad amps, especially the older ones like 405 and 303, sound markedly different from most other amps in that they possess a softish mellowness, and considerable warmth through the bass and midrange, apparently they sound utterly neutral, when inserted into a chain as described above. While you certainly can’t argue with Quad’s approach, there is nevertheless something I can add to the story to put it into perspective, which also helps explain why some people fail to hear differences between cables. At some point in my audio career, I had discovered a love for Transparent (the brand, not the sound) interlinks. They presented a subtle smoothing of sound that I often found engaging. But sometimes I would want to put on my rock head and needed more forward sounding interlinks. I thought I had figured out the solution by using transparent (the sound, not the brand) interlinks between the cd player and the preamp and use Transparent (the brand, not the sound) interlinks in the tape loop of the preamp. Can you still follow? So I used open sounding interlinks for the source while using warm sounding interlinks in the preamp record out – tape input loop. 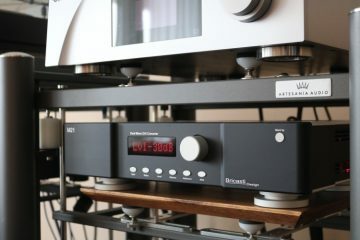 In conjunction with the preamp’s capability to switch record outputs independently from the source inputs, this allowed me to listen either with the warm cable, or without. Now this was comfortable! But would you believe that I heard no difference? None. My audiophile friend didn’t hear a difference either. But I had clearly heard the Transparent cable sound differently before. So I disconnected everything and did a clean swap of interlinks. And back was the familiar sound again. For some reason, you cannot hear (big) differences when you use a cable in the tape loop. At first I thought this had to do with buffering in the tape outputs but later I learned that it was a hard-switch, no buffering at all. All that remained as a probable cause was the grounding scheme. For all connected cables the ground was interconnected and I think that this is the main reason why we didn’t hear differences when the cable was used in the tape loop. I think this also helps explain why cables sound different from each other. Apparently the jacket functions as energy storage, fuelled by the alternating current that is the music signal. I believe that cable jackets and geometry have a much larger effect on the sound than people are willing to believe. And if this is true then it isn’t much of a stretch to think connecting all cables’ ground to each other effectively grounds this effect. This also may explain why the Quad experiment worked so well. This is a common story that may be an urban story or it may actually have taken place. It was told to me by a strict non-believer as proof of why the choice of cables cannot matter. But it is very interesting. The story goes that a blind comparison was made between a proper loudspeaker cable and barbwire. I kid you not; this was the comparison. But apparently it was done behind closed curtains and the test subjects were unaware of what they were listening to. 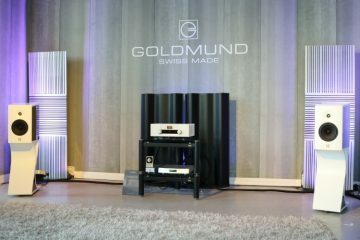 As I was told, there were ‘golden ears’ present, audiophiles who claim to have very good ears and should therefore easily be able to tell the difference between one cable and another. Well, apparently they couldn’t tell the difference between a proper cable and barbwire. You may wonder, what can I add to this story? I have to be honest and admit that I don’t know. Actually, the story leaves a lot unknown. The components in the set-up are unknown (Jeff Rowland or Yoko? ), the test circumstances are unknown, the test subjects are unknown (were they really audiophiles or secretly non-believers too?) and the music used (if music was used) is unknown. 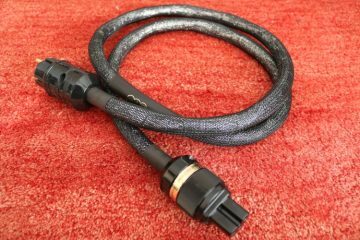 What I do know is that I have done many speaker cable comparisons and at one point even came close to using barbwire: I used solid core installation wire, VD cable as it is called in the Netherlands. The set-up in which I did this was a high-end one, with Jeff Rowland amplification, and I thought that the VD wire wasn’t that bad, even though it didn’t sound nearly as good as the Kimber 8TC that I had loaned from a friend. The VD wire sounded more harsh and more forward and aggressive, but it had pretty good bass. And as I was a bass head back then, this was OK for me. That’s also an important factor, as long as you focus on one aspect that’s good, you’re more likely to be ignorant about the lesser sides. My bass was good so all was good. Until the audiophile friend came along again, this time carrying XLO reference speaker cables. The difference with the VD cable was enormous. 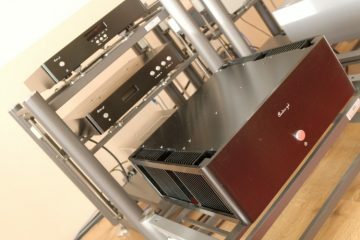 The XLO sounded grander: bigger, deeper, wider, more sumptuous and more dynamic at the same time, more fluid in the highs and more nuanced at the same time. It made my cable sound like actual barbwire. I had learned my lesson: speaker cables not only mattered, they can make or break a system. 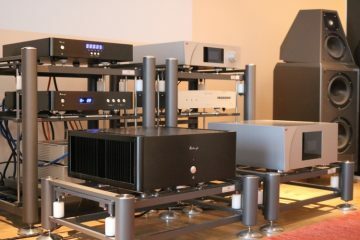 Do you need ultra high end equipment to hear differences? I have to admit that you need a good set-up to clearly hear differences. But it doesn’t have to be super high-end. Even on mid class B&W speakers and entry-level separates like Marantz you can quickly hear differences between speaker cables. (Interlinks too, but that’s for another article). You also need to know what to listen for as often different cables present themselves differently not so much in coloration but more so in perceived speed, attack, dynamics and articulation. When I speak of non-believers I mean that these people are so convinced that they won’t hear a difference that they will in fact not hear a difference. The power of the mind is strong indeed. 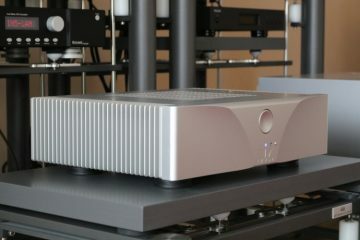 Of course you can say the same about me and all other audiophiles, that we hear our wallets. I can’t blame people for saying so but can promise you that this isn’t the case. Believe it or not, I too, started out as a non-believer. 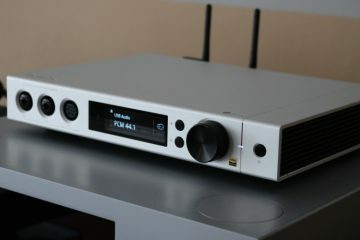 A friend was a convinced audiophile and at some point he brought along some interlinks (Transparent ML plus) for me to try out. I had a Yamaha DSP A1000 amp and Vifa Basis 2.0 speakers at the time. My interlinks were those you get for free, packed in the box with the equipment you buy. The speaker cables were very, very long and the speakers placed just so they looked nice. It sounded good to me, though, and to all my friends too. In fact, for a long time I had the best set-up of anyone I knew so I was very content. But back to the turning point, the audiophile friend had brought me some interlinks to compare. Well, what can I tell you, I didn’t hear a difference. What’s more, my friend didn’t hear a difference either. So naturally I told him he was hearing things! I figured that he was actually hearing his wallet. What happened then is a long story of upgrades but I’ll condense it as much as possible for now. At some point I got a pair of ancient IMF speakers (25 years old at the time) from a friend who worked at a thrift store, for use in the bedroom. I connected them straight to the television and was stunned by the transparency, articulation and focus. When I returned to my main set-up in the living room, I was very disappointed. The big(?) set-up now sounded like a big mess: there was no definition, no soundstage, no detail, nothing. Just very big bass and a lot of power. This made me think. The first step I made was to get decent speakers, the B&W Nautilus 804’s and a second-hand Sony TA-E80ES preamp and TA-N80ES power amp. 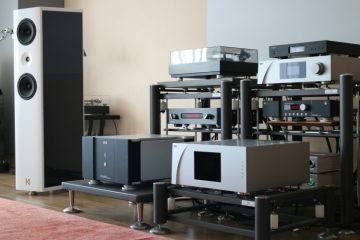 I really was no Sony fan but my audiophile friend told me it was a definite cut above my Yamaha surround amp. It was indeed. Also, when I bought these components, I moved them between the speakers, which allowed me to use proper speaker cables. Now, for the first time, I could easily hear differences between interlinks and speaker cables. As it turned out, my previous set-up just sounded so muffled that it masked any effects changing interlinks had. Of course a set of N804’s certainly can’t be called cheap, but the second-hand Sony components together were less than 900 euros. Also, keep in mind that I also was already stunned by the old IMF’s! I liked this article you come across as level headed and open minded. 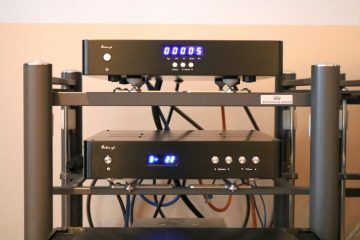 The whole high end audio turns so many people off there is huge need for sensible audio debates using equipment affordable to the masses.